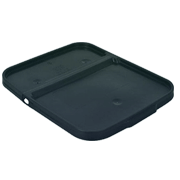 We carry all of the essential hydroponic and soil gardening containers. 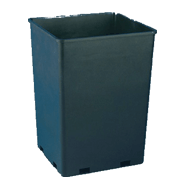 Our large selection of plastic pots, mesh pots and net pots, grow bags, flood tables, reservoirs, benches/stand, and buckets, will ensure you have the right container for your gardening media. 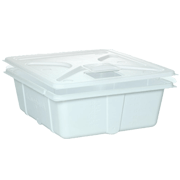 Looking to transplant your plant into a larger container? We've got the all of the transplanting information you need to do it correctly! Growing something? Of course you are! 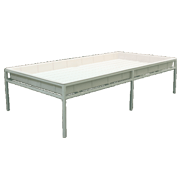 Chances are good you're going to need some kind of container and with our huge selection of grow pots and trays, Growershouse has you covered. 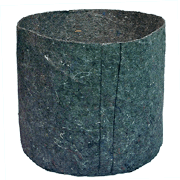 We have plastic pots, round pots, square pots, net pots, mesh bottom pots, and even fabric pots in all shapes and sizes. 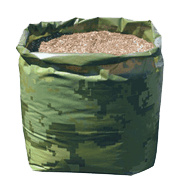 With our large selection of plant pots, you'll find the right container for your grow operation, from mesh pots and net pots, to grow bags, and buckets we carry it all at Growershouse. 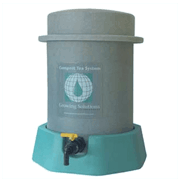 Reservoirs are also available for holding your liquid materials like water or nutrient solutions. 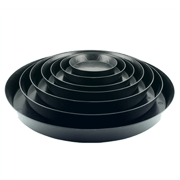 Don't forget your lids and saucers, we carry a wide variety, from Rockwool to net pot lids and saucers of every size. Have a larger grow operation? 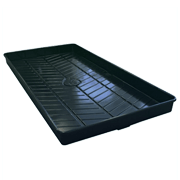 Try our selection of flood tables and trays that can handle many plants at once with ease. 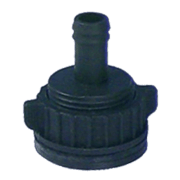 We also carry all the fittings and accessories needed to setup your ebb and flow system with ease.